September 28, 2010. Papa, the dog that brought out an emotion in me I have been successful in keeping at bay; came to us by way of the dedicated and caring staff at Town Lake Animal Shelter. As you may have read in his first blog, Papa’s situation, like many others I have worked with in the last 23 years was that of severe abuse and neglect. 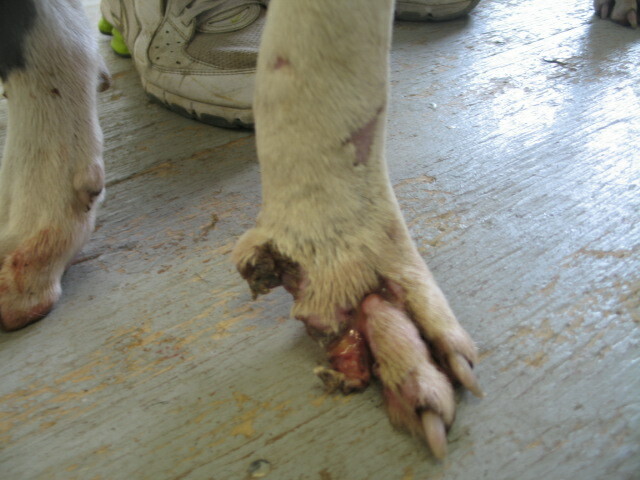 Judging by the wounds he suffered, it is likely Papa was used as a “bait” dog. Papa received an out-pouring of support from our clients and the public that read his story. As a thank you to all of you, I wanted to update everyone on his progress four months later. Today, Papa, my special little man, is happily living with our pack. He still makes me melt when he comes up and places his head on my lap. He helps clients, kids and other dogs everyday by working sessions with me and going to communities to talk about the cruelty of dog fighting. He sits in on our Seminars to educate the public on the real truth behind this breed, stealing affection by anyone willing to give it to him. Best of all, he fills me with the answer as to why I work so hard to help in this field when it feels impossible to make a difference. I just need to look at how much love and thankfulness he has in his eyes, as he curls up next to me while at my desk or in my recliner. The eagerness to do anything I ask of him, the concerned look he gets if I am feeling stressed. Papa reminds me every minute of the day that as bad as it gets I have to keep fighting for them. This is a photo of how much Papa has changed in the last four months. December 30, 2010. Captain, an emaciated badly injured American Bulldog was brought to us to avoid being killed in a Texas shelter. You may remember his story; he had been the victim of a dog fight. Forced to put his life in danger for money or status of his owners, but he lost. To show their gratitude, his old owners left him abandoned to die from starvation or his injuries, which ever happened first? 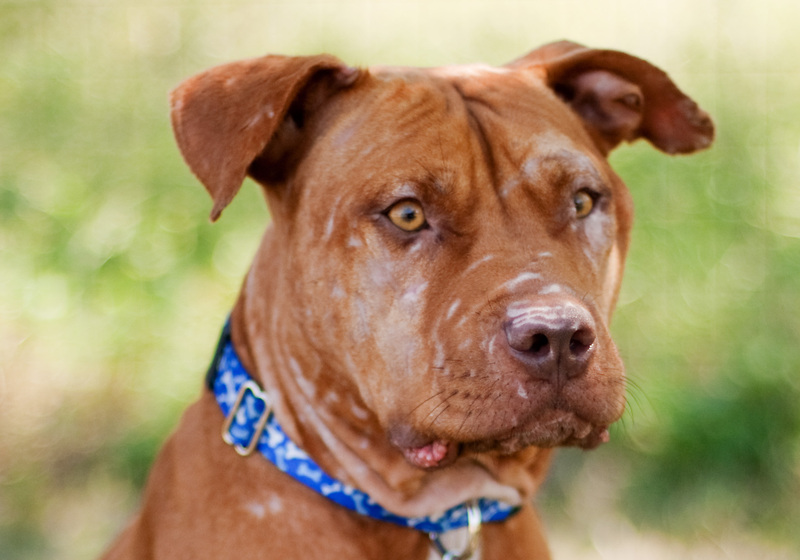 Thankfully Captain had been picked up by Animal Control and brought to the shelter, where many people came together to help this guy have a chance to live the life he like so many, deserve. 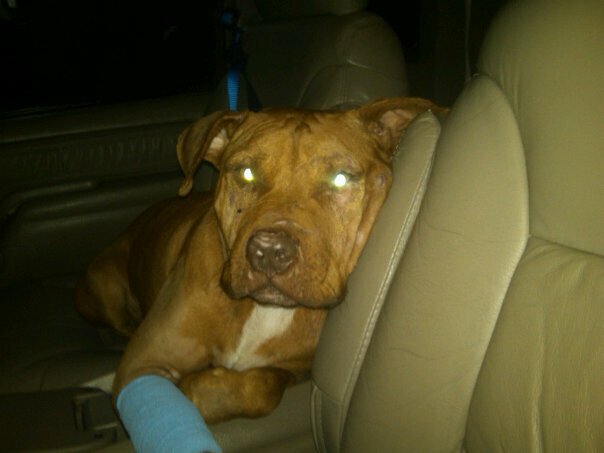 It has only been four weeks since Captain came to us, his paw half missing, completely starved. He has, just like Papa, made leaps and bounds in his recovery. He has shown nothing but a tremendous amount of love and affection to any human willing to give it to him. He patiently stands for his paw to be covered with a plastic bag before each of his 4-5 walks and then continues to stand afterwards for it to be soaked and have the “Healing Gel” applied. He walks with other dogs every day showing no aggression, he quietly waits in his kennel during classes or sessions and wags his tail every time a client approaches. At his last vet visit, a child came up to him and he immediately placed himself into a surrendering position (on his side) so she could pet him. 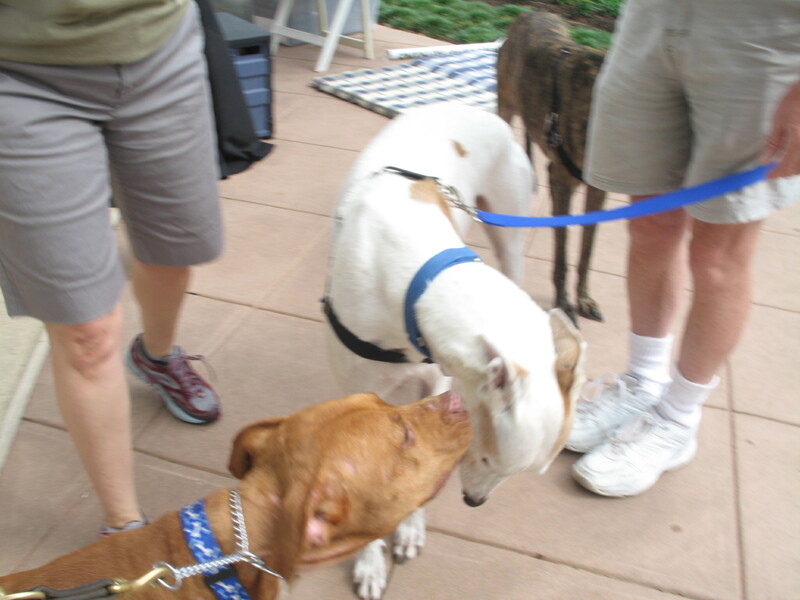 He did manage to sneak some gentle kisses in to thank her for petting him. Both of these truly amazing dogs were almost killed after human’s forced them to a life of torture. I personally would ask that everyone involved or not with Papa and Captain’s rehabilitation, thank your local shelter staff for the endless love and compassion they have for the massive amounts of animals in their care. Papa, Captain and I would like to thank Frances, at “Frogworks” for her amazing healing gel, Christina with “Skillful Paws” for her amazing talent with massage and acupressure, the staff at Town Lake Animal Center, Waco Humane, and all of the dedicated clients, volunteers and friends that have helped us in our successful journey to the healing process of two very “misunderstood” dogs. We can never thank you enough! If you would like to help us in their medical care, please click on thier names below for their Chip in funds. Thank you again. Still think “Pit Bulls” are dangerous? Watch out, it’s a “Pit Bull”. I hear this so many times it makes me insane. 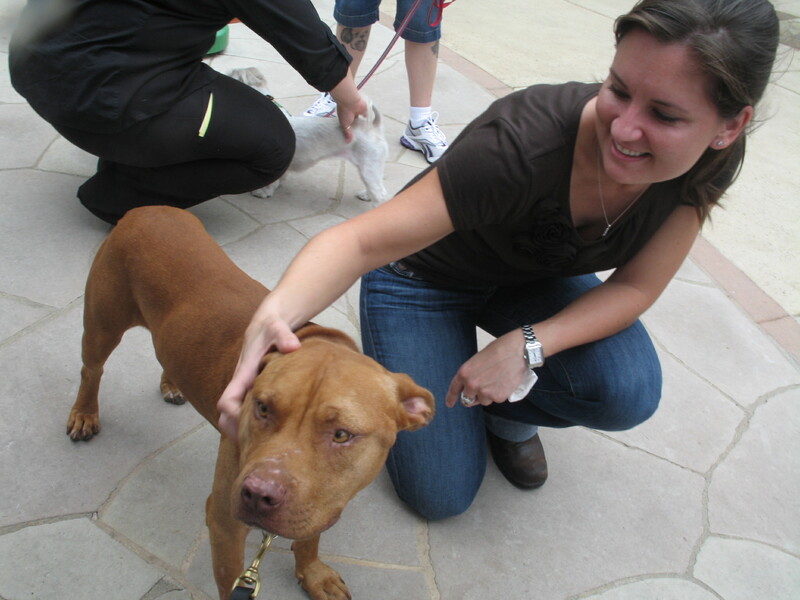 This blog is for all the people out there that continue to say this breed is dangerous. 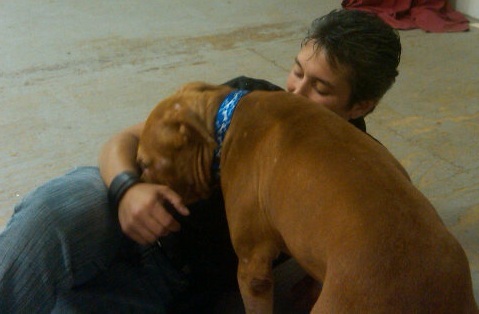 I received an email from our friends up in Waco Shelter, regarding a dog that they had come in to their care yesterday. 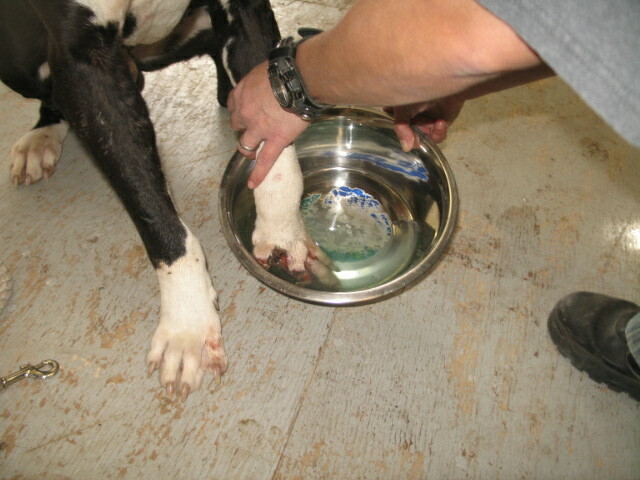 The email was a call for help as he is labeled a “pit bull” and has horrendous wound to his front paw. 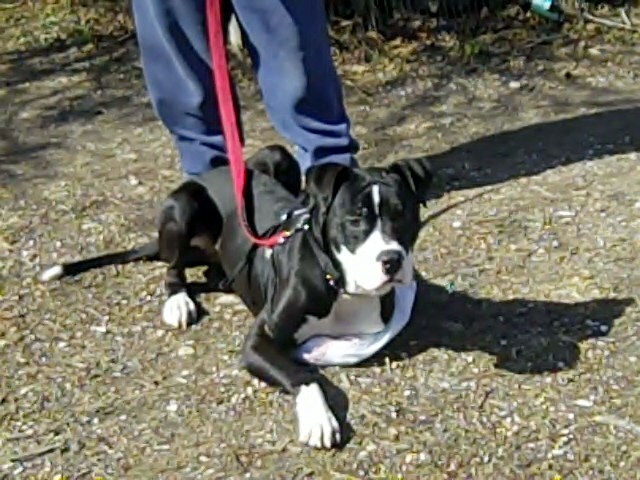 Of course we are not a rescue group and as much as I state I will not take any more in, how can I let this guy be killed because he is injured and a certain breed? I can’t. So out goes the call to say we will take him and get him back on his feet-pun not intended. The transport pulled up at 11:30 on the dot- they are good that way J– and greeted me full of tears. They are clients of mine and two very big hearted people always looking to help our four legged friends just as much as we are. They had been crying because of the injuries this dog had endured and they were touched by how affectionate and happy he was to be around humans even after suffering like this. Yes, this sounds familiar; this case immediately touches me because only a few months ago I had the same feeling when I met Papa. 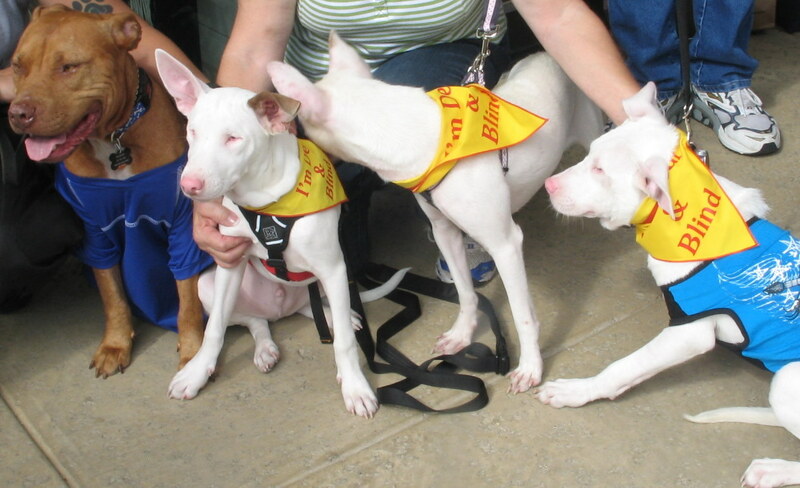 < But these are “pit bulls”! Aren’t we supposed to be afraid they will “rip our faces off without warning? > After a very teary goodbye, the transporters left us with the reminder that not all humans are as cruel as the person responsible for Captain’s wounds. They even went out and bought him his first toy and –even though the economy has been tough on them, like so many others- they donated a gift card towards his vet care. Yes there are true compassionate people still out there, thank you Brandi and Mike. Yes, he has a name. The shelter dubbed him Captain Hook. I can’t call him Captain Hook, just because Hook was mean, so we are shortening his name to Captain J– I am weird like that. So after getting a real time look at his wounds – and feeling sick to my stomach that someone could be so cruel- I realize this boy’s story may be more similar to Papa than I thought originally. 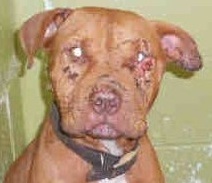 No I do not think he was a bait dog, but I do think he was a fighting dog. He has the telltale scars all over his face and front legs, a deep puncture over his eye, as well as in his mouth, and he had an abscess puncture wound on his “good” leg. 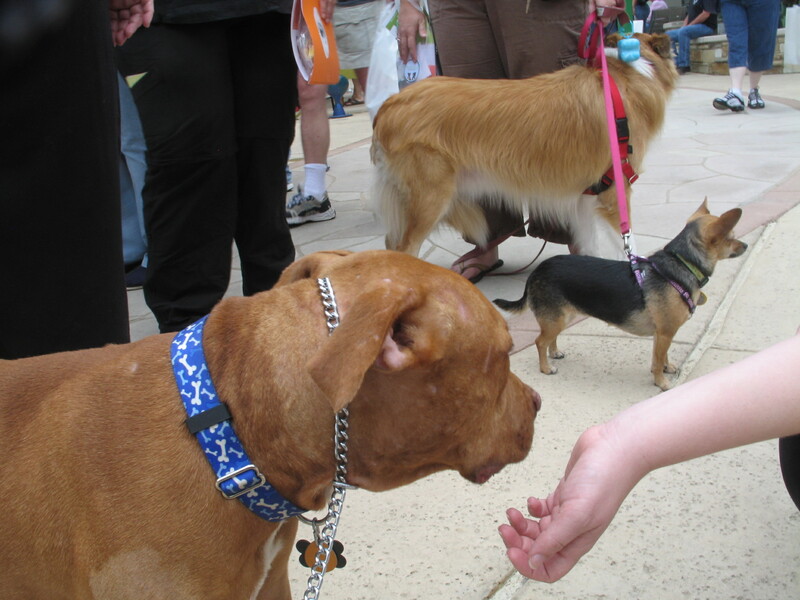 Yet walking into the Center he showed no signs of aggression towards the dogs. No signs of aggression towards every human that touched him. But isn’t this the breed so many in the media and politics say are born killers? Have we been lied to? You decide. This is what this poor guy is dealing with; the pain this must be causing, I cannot imagine. Fast forward 3 hours. My awesome best friend – and a fabulous canine acupressure/massage practioner, Christina from Skillful Paws, took time on her much needed day off, to come down and do a session with him. So what is the point of this story? I mean we see and hear about abuse all the time in the media, on TV. What makes this any different? This is a dog that suffered because of a human- for enjoyment, status or money, could have been killed because of human fear and prejudice; but was saved because there are still humans out there that have enough love and compassion to stand up and say, “Enough”. If this story makes one person realize anyone can make a difference, then that is enough to save one more dog. Maybe it will become contagious, maybe more people will look and see that this breed is not the monsters they are said to be, but true masters of forgiveness. Maybe. Please hug your furbabies often, there are so many dogs that never get a chance to experience true compassion and love.